While calculating the average Wins Above Replacement scores as research for our upcoming AL MVP race post, we stumbled across a peculiar comparison between Boston's ace, Josh Beckett, and former Boston pitcher, Justin Masterson. Does that translate well to a glimpse at their traditional statistics? Masterson has had a better than 'good' season. In fact, as you'll see in our next post, he is our choice for Indians team MVP, ahead of Asdrubal Cabrera. One major difference we could see from traditional stats that would affect the advanced numbers are the difference in home runs allowed: Beckett 16; Masterson 6. I was surprised to see Masterson ahead of Beckett in avWAR calculations. He's having a good year, but his ERA is almost half a run higher than Beckett's. Plus, when it comes to Walks + Hits per Innings Pitched, Masterson does not campare to Beckett, who's WHIP is still limbo-ing under 1.00 heading into September. Theo Epstein, of the Red Sox, traded Masterson (and others) for Victor Martinez, who game the Sox 775 at bats, of which most were quality. As a member of the Red Sox, V-Mart batted .313/.368/.490, with 73 extra base hits, 120 RBI, but ultimately no post season glory. 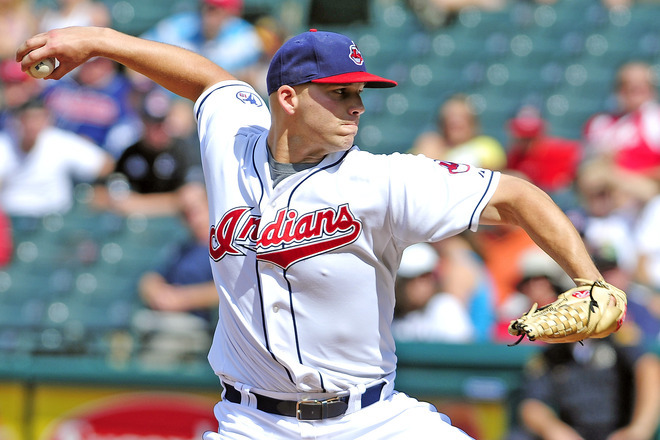 Since the trade, Masterson has provided 6.0 avWAR for the Indians (and counting! ), while Boston received 5.0 avWAR performance from Martinez. Red Sox fans are known to complain about things from time to time. We haven't heard them complain about missing Justin Masterson very much. Maybe we should.